This month is the 60th anniversary of the revolution in Cuba led by Fidel Castro and Che Guevara. The revolutionary movement began July 26, 1953. 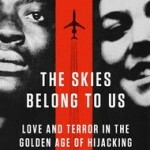 It is fitting that a new book has been published that explores the golden age of the airplane hijackers, a period that reached a crescendo between 1968 and 1973, when hundreds of attempted hijackings occurred, many of these being individuals who wanted to go to Cuba and obtain political asylum there. In an America torn apart by the Vietnam War and the demise of sixties idealism, airplane hijackings were astonishingly routine. Over a five-year period starting in 1968, the desperate and disillusioned seized commercial jets nearly once a week. 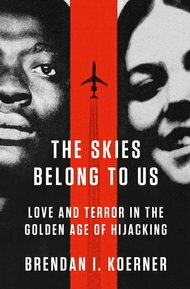 Their criminal exploits mesmerized the country, never more so than when the young lovers at the heart of The Skies Belong to Us pulled off the longest-distance hijacking in American history. A shattered Army veteran and a mischievous party girl, Roger Holder and Cathy Kerkow commandeered Western Airlines Flight 701 as a vague protest against the war. Through a combination of savvy and dumb luck, the couple managed to flee across an ocean with a half-million dollars in ransom, a feat that made them notorious around the globe. Over the ensuing years, their madcap adventures on the lam would involve exiled Black Panthers, African despots, and French movie stars. Yet The Skies Belong to Us is more than just an enthralling yarn about a spectacular heist and its bittersweet aftermath. It is also a psychological portrait of America at its most turbulent, and a testament to the madness that can grip a nation when politics fail. To view Koerner’s recent talk at Book Soup in Hollywood click here. Or to watch the embedded version of the presentation, click on the window below. To get a signed copy of the book, go to www.BookSoup.com, or better yet, visit the store in person. 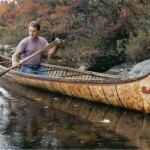 Occupy.com’s report on the Banking Influence by Andrew Gavin Marshall Exposes the Globalist Powers Infesting the Bank. In May, JPMorgan Chase was listed as the largest bank in the world with assets at roughly $4 trillion — some $1.53 trillion of it in derivatives. This was reported a month after the announcement that the bank had posted a record first-quarter profit of $6.5 billion. In the midst of the scandal, the bank faced a potential “revolt” of its shareholders in a bid to strip Dimon of his dual role as CEO and Chairman. In confidential government reports which were leaked to The New York Times, the bank was accused of “manipulative schemes” which transformed “money-losing power plants into powerful profit centers” while executives made “false and misleading statements” under oath. In May of 2012, Obama rushed to Jamie Dimon’s defense in light of the financial scandals, stating that Dimon was “one of the smartest bankers we got.” The Financial Times referred to Dimon as “the last king of Wall Street.” And when finally faced with the decision to strip Dimon of his dual role as chairman and CEO, Obama’s “favorite banker” ended up winning “a decisive victory” by maintaining both his roles. In the midst of the financial crisis in 2008, JPMorgan Chase became not only a major criminal, but also a prime beneficiary. In 2007, the global investment bank Bear Stearns was named by Fortune magazine as the second “most admired” financial securities company in the United States, while Lehman Brothers was put in first place. As the financial crisis erupted, Bear Stearns executives “discovered” that they were “nearly out of cash” in March of 2008. The CEO of Bear Stearns, Alan Schwartz, made a phone call to Jamie Dimon — JPMorgan Chase was the clearing agent for Bear Stearns — asking for an overnight loan. Dimon, who also sat on the board of directors of the Federal Reserve Bank of New York, turned there instead of providing the loan through his own bank. The president of the New York Fed – who was elected by the banks that own the New York Fed – was Timothy Geithner. Geithner began discussions with Bear Stearns, and the following morning he held a meeting with Federal Reserve Chairman Ben Bernanke and Treasury Secretary Henry Paulson, the former CEO of Goldman Sachs, where they agreed to an emergency loan for Bear Stearns, providing the funds through JPMorgan Chase. A great video made possible by the Minnesota Arts and Cultural Heritage Fund and the citizens of Minnesota. 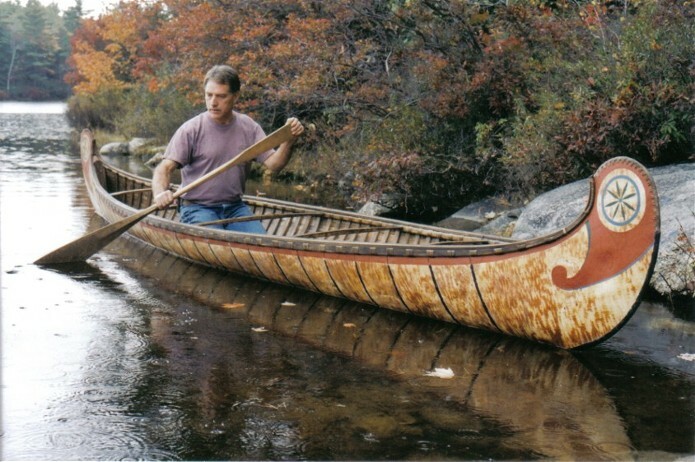 Master woodworker Grant Goltz leads the team in the ground up reconstruction of an indigenous birchbark canoe. It helps to be in the northeast when you want to do this, finding a grove of birch in the Los Angeles area might be a little tough.